"In real estate, every property, seller and buyer are unique and should be addressed as such. I am happy to use my experience to better inform their own, and treat each transaction as it should be treated – with fresh eyes, an open mind and attentive personalized service." With a broad range of experience across all types of residential and commercial transactions, Kristen Jock is a rarity among real estate agents in her ability to negotiate nearly any kind of deal. With an emphasis on multifamily sales in Brooklyn, she’s spent nearly a decade advising buyers and sellers alike, in addition to investors, developers, and landlords. Certified as a buyer representative and trained in negotiation, she has already earned several of the industry’s top honors, including being named one of the top 1000 brokers nationwide by NRT and Rising Star at her previous firm. Clients tend to compliment her strong intuition—owing partly to her background in psychology—persistence, and calm, empathetic demeanor, especially during what tends to be one of the most stressful moments of their lives. She sees her role as that of a trusted advisor, and prides herself on being straightforward, levelheaded, and honest, believing a paycheck should never come at the expense of a client’s interests. In her career, Kristen has serviced almost every neighborhood in Brooklyn, as well as several parts of Queens and Manhattan on both the listing and the buying side. She is also well connected to dozens of other agents and specialists, and quick to recommend someone if the particulars of a deal fall outside of her areas of expertise. A property owner herself, she currently lives in the Clinton Hill neighborhood of Brooklyn, where she is developing a two-family townhouse. Her first-hand experiences with home ownership have given her a unique perspective on how to spot potential problems, and ensure that her clients always get the best value possible. In her free time, she enjoys hiking, running, and traveling, and volunteers with several charities such as New York Cares and Achilles, which supports athletes with disabilities who compete in marathons. Kristen was our agent for selling our home in Seagate Brooklyn. She was an absolute pleasure to work with. She guided us through out the entire process and we always felt we were in very good and capable hands. She is professional, and knowledgeable and with her help we sold our house for the asking price and very quickly. I will recommend her to everyone I know who is in the market for buying or selling a house. Kristen helped my daughter and I to secure her first Condo in Brooklyn. We had a relatively tight timeline and I had very little understanding of the market. Kristen brought a strong level of market knowledge and did a very good job listening to what we were looking for. Over about 4 weekends we covered the primary neighborhood and two secondary ones and by the end of that process I felt I had a strong understanding of the market, value and inventory availability. We made three offers and secured the 3rd property at what I believe will be a strong value. I would highly recommend Kristen and I would definitely use her to represent me on future real estate needs. My partner and I recently purchased a condo in Bushwick. As first time home buyers, we appreciated Kristen’s knowledge and professionalism. She was quick to respond to all of our questions and provided valuable insight throughout the process. She is thoughtful, smart and we found her to be trustworthy and dependable. We would recommend her to anyone buying a property in the area. There is something quite rewarding about securing a quality real estate agent backed by a first class organization. Kristen took the reins of our real estate sale and immediately put into action all the essential pieces to bring about a prompt sale at an optimal price. Her communication and follow-up was exceptional and she brought about maximum exposure to show our property in the best possible light. Kristen is backed by a fine and supportive group that enabled all aspects of the sale to run smoothly. The highest possible recommendation for Kristen’s skills as a real estate agent. Kristen handled every aspect of selling our family property in Williamsburg with ease and free of stress for us. She kept us updated with the process and progress only when there was something significant to report. Kristen was great at coordinating with tenants to show their apartments. We found her to be bright, sensitive to personal issues, and having a good sense of humor as well. From listing, to contract, to closing, we give her 5 stars. Before choosing a real estate agent, we conducted a lot of research to see who would be the best choice based on the investment they make into selling our property (time and effort, not necessarily financially) and how they promote their listings. The Corcoran Group Real Estate stood out as one of the best. Their social media presence was strong, and I could tell they put a lot of work into their listings. I’ll recommend Kristen Jock, my Broker, to everyone I know. She’s a true professional and a genuinely nice person. I realize that it’s sometimes not an easy process selling a home, but I think you’ll be hard pressed to find a better Realtor. Thank you Kristen for all you have done. 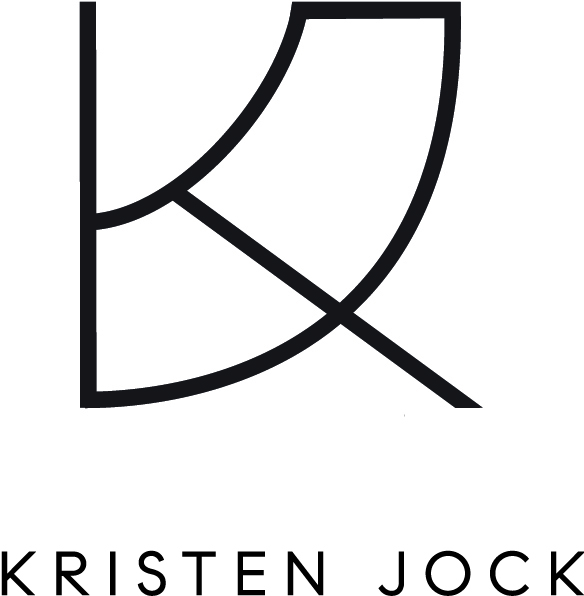 Kristen Jock is very professional and knowledgeable. She helped me in so many ways, I will never forget my experience with her, and it will carry me throughout my life. In searching for my new home, she would take me to various places in her car and was always available to talk about the process. She was very helpful, anything that I told her that was stressing me, she would make suggestions as to how I could relieve that stress. I will never forget her. Nothing but praise and kudos for Kristen. She advised me on selling my home in Bushwick instead of renting it out. It went into contract within a month and Kristen dealt with everyone and everything that came into play. She was super efficient, no-nonsense approach, and she was a joy to work with. My attorney said she was one of the most on-the-ball and effective realtors he’s ever worked with (in his 20 something years’ career). Kristen helped find and close on the apartment I was looking for. She was very responsive to my requests/questions, she was sending me daily updates with new postings and came with me to see the apartments I was interested in. She referred me a good real estate lawyer and helped me prepare the board application. I would recommend her with no hesitation. Kristen is a very professional, calm and intelligent broker. She helped us sell our condo in under a week! Even after we had an accepted offer, she never dropped the ball and continued to push the process along. We were thrilled to work with her and would highly recommend her for anyone looking to buy or sell in NYC. We were looking for a condo/coop in Brooklyn, for our daughter, but we live in Virginia. Kristen was recommended to us and she has been great, got us all the information, was great showing places to our daughter, very responsive. Then, when we finally found a coop , she recommended a lawyer to us, who worked hand in hand with her and us, she kept on top of everything and has helped our daughter maneuver through the NY real estate requirements. I Would not use anyone else in Brooklyn or NYC. Kristen is not just another real estate agent, but THE AGENT you want on your side in the whirlwind search of finding the right home. She is incredibly thorough, real about setting expectations, knowledgeable, and ethical. We first met Kristen when she was hosting an open house for a property we were interested in, and to be honest, we didn’t pursue her as our agent right away. Instead, we did our own thing, and then partnered (and broke up with) several other agents over a 3-4 month period. Frustrated at the low inventory and high levels of competition, we sought Kristen’s help because she made the best impression. When I look back at our entire search timeline (which ran August 2015 to end of March 2016), we really gained momentum after we reconnected with Kristen. It’s imperative to have an agent who is truly on your side throughout the entire interaction. Much time has been spent in talking strategy, inventory available, property visits …and now she is still with us as we make our way through the contract process to closing. I loved it when Kristen would call bullsh*t on people (other agents/seller/etc) who were wasting time. Without her, we would not have known that our time was being wasted, or that certain actions of others were a complete violation of ethics. There can be much headache and unknown involved with real estate, but having Kristen as an agent made all the difference. Kristen is highly qualified, professional, knowledgeable and client focused. Kristen understands her areas of coverage, the business and the applicable regulations, and marries those with the needs of the clients she serves. My husband and I have worked with Kristen on numerous transactions and are amazed at her attention to detail and unique ability to meet needs and resolve problems. Kristen is extremely knowledgeable, focused and attentive to your needs. She has an easygoing and caring attitude towards her clients. She also maintains a professional attitude at all times which allows her to find the best strategy for selling or buying a home. I would definitely recommend any prospective seller or buyer to work with Kristen, you will not be disappointed! Kristen was absolutely lovely to work with. As a first time buyer, I found the entire situation very overwhelming, but Kristen was calm, helpful, patient, and very supportive. I felt very comfortable all through the process, and never doubted that she had my best interests in mind every step of the way. I would absolutely recommend her. Kristen Jock is excellent. She assisted my family with not only the all cash sale of a multifamily building in Brooklyn, NY, but also with the rental of a studio apartment in Downtown Brooklyn under the auspices of a difficult coop board. Kristen is knowledgable and precise. She listens extensively well to her clients offering them personal and thorough advice. During my online search for a real estate agent, I was contacted by Ms. Kristen Jock. She was one of 3 agents that I interviewed in order to list my home. Kristen’s response was immediate, her professionalism, confidence and knowledge of the neighborhood all helped to put my mind at ease during what can be an extremely stressful situation. It has been a pleasure working with Kristen. My first experience with Kristen was during the purchase of my first home. She was actually the seller’s agent. Kristen was EXTREMELY instrumental in making the sale go as smooth and as quick as possible which is what I and the seller was looking for. She is very knowledgeable and always professional. I highly recommend Kristen as an agent if you’re selling, buying or renting! Kristen was incredibly helpful during our apartment search. She has a very accommodating schedule and never pressured us to like or see apartments that didn’t interest us. Kristen guided us through the process from finding the apartment to signing the lease. We’re so thankful for all her help in finding our perfect apartment! Kristen is a pleasure to work with and a trustworthy, knowledgeable broker. I first worked with her four years ago when she helped me to find an apartment in Ridgewood that I have been happily living in since. My first experience working with her led me back when I was getting ready to purchase my first home, also in Ridgewood. As a first time home buyer and with quite a few complications in the sale, Kristen was a great ally throughout the process. She was always prompt in responding to any questions, even after hours, and she led us through the complicated sale with confidence and good advice. We couldn't be happier with our new home and are grateful to Kristen for everything she did to help secure it for us. I most definitely recommend her to anyone in need of a great broker! Kristen brought very well qualified applicants to us after only one showing and we were able to move very quickly to a lease. It was a seamless transaction. The entire process was extremely professional and every concern or question we had was responded to immediately and fully. Kristen brought very organized and confident management style to the process. What you can do to correct a property being used contrary to its certificate of occupancy. Am I required to use a real estate attorney when buying or selling property? Three main criteria to consider when choosing a neighborhood to live in. How to determine if you need to sell before you can buy and alternative options to selling first. The concept of investing in a home is pretty straight forward, but the idea of investing in the community as a means of protecting and strengthening your investment is as important. Breaking down the characteristics of buyer's, seller's and stratified markets. Discussion of ways to reduce or avoid capital gains tax when selling a property. Nestled in the highly sought after Boerum Hill Historic District in downtown Brooklyn, this landmark designated, legal, two family, Italianate brownstone rowhouse is situated on the charming block of Dean between Smith and Hoyt. Originally constructed between 1849-1855 for local merchants and business people as one in a group of six residences by the architect and developer of record, John A. Hughes. The property is bursting with original details from the inside out, with a black, wood cornice, aTudor-arched doorway evoking the Gothic Revival style, iron grilles, fence and stoop railing, pocket doors, built ins, crown molding, ceiling pendants and multiple working, wood burning fireplaces, to name a few. To date, the property is arranged as three apartments with a three bedroom duplex over the parlor level, one bedroom above a one bedroom garden apartment with an unfinished basement. The garden and parlor apartments maintain access to the tranquil backyard, which is blanketed in green vegetation with a stone path leading to a bench to rest on while you pass a lazy afternoon under the shade of the magnolia and flowering crab trees. The home maintains rich, historic details and good bones, which are awaiting a new owner to craft and curate the interiors to their liking. All mechanicals are in good, working condition and receive regular maintenance. If this sounds like the future home of your dreams, we invite you to take a peek! Boerum Hill is an easygoing, predominantly low-rise community surrounded by Cobble Hill, Downtown Brooklyn, Fort Greene and Gowanus. The residential heart of the neighborhood is its quaint, historic district, which encompasses parts of Pacific, Dean, Bergen and Wyckoff Streets. Interspersed throughout are charming ground-floor businesses like the atmospheric Italian restaurant Rucola and the aptly named Little Sweet Cafe. Influential cultural institutions and recreational venues, such as Brooklyn Academy of Music, Barclays, Brooklyn Bridge Park and the ferry to Governor's Island, are conveniently accessible. Finally, the neighborhood is very well connected with transportation options galore, including F, G, A and C metro stations, East River Ferry, Citi Bike hubs and the Brooklyn-Queens Expressway. Tell me who you are and how I can help. Whether you’re looking to buy, sell, rent or lease out your property or simply looking for an update on the market, and I will be in touch promptly. And thank you for reaching out.